I just love Swedish Crime series... They r soooo good :) Maria Wern, Beck, Johan Falk whatever I can't have enough! Watched two in a row tonight of Maria Wern and leaving this weeks episode for tomorrow. 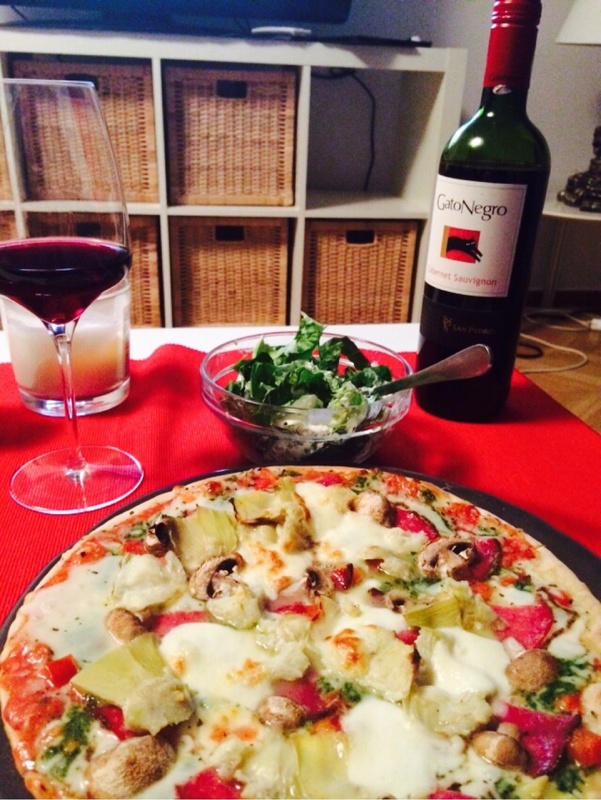 Had my special pizza with a glass of Chilean wine. Since I'm training a lot I just cut out alcohol but a small glass I thought was ok! When u r training it's just not worth drinking since it destroys the effects of the training... Hard work for nothing!